Sorry, Raquel Pennington. No Holly Holm, no main card spot for you at UFC 181. Now that Pennington will face Ashlee Evans-Smith in the December 6 event instead of Holm, the bantamweight bout has been demoted to the prelims. The ladies will be kicking off the Fox Sports 1 broadcast, if that’s any consolation. The heavyweight scrap between Todd Duffee and Anthony Hamilton has been promoted to the pay-per-view portion of the show. The best news is the two feature fights remain unchanged. 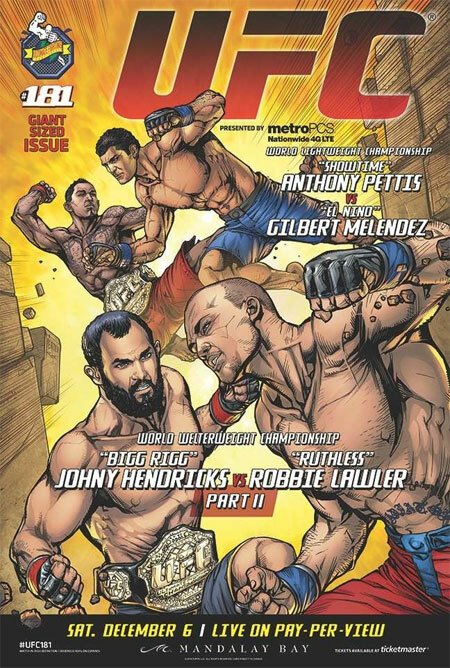 Lightweight champion Anthony Pettis and Gilbert Melendez will open for the welterweight rematch with champ Johny Hendricks and Robbie Lawler. Mandalay Bay Events Center in Las Vegas, Nevada serves as host.